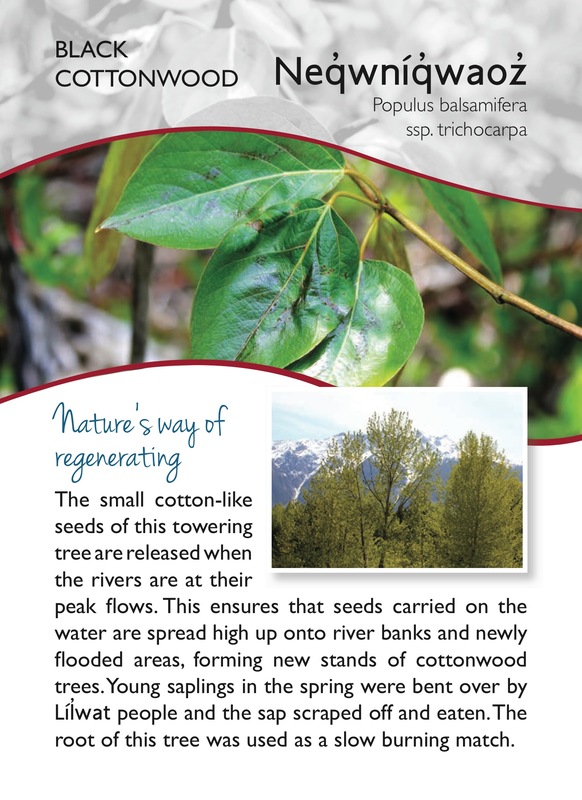 Black cottonwood trees play an important role in floodplains like the Pemberton Valley. It’s root system provides defence against erosion, and the abundant leaves provide a steady stream of organic nutrients often absent in flood-prone areas, due to the constant flushing of the land. They build the soil that supports them. Dawn Johnson wrote about the black cottonwood, and the way it helped her fall in love with ecology, on the Wellness Almanac back in 2012. Revist that post, here. The seeds cannot survive in the shade of their parent, so the cottonwood fluff seeks its fortune floating far and wide, usually in the last week of May.